Just a smattering of random observations for this last official Wednesday of the summer. The older one gets, the faster time flies. If there is that legendary hill, I likely am over it and time sure seems to pick up steam as it’s rolling downhill. 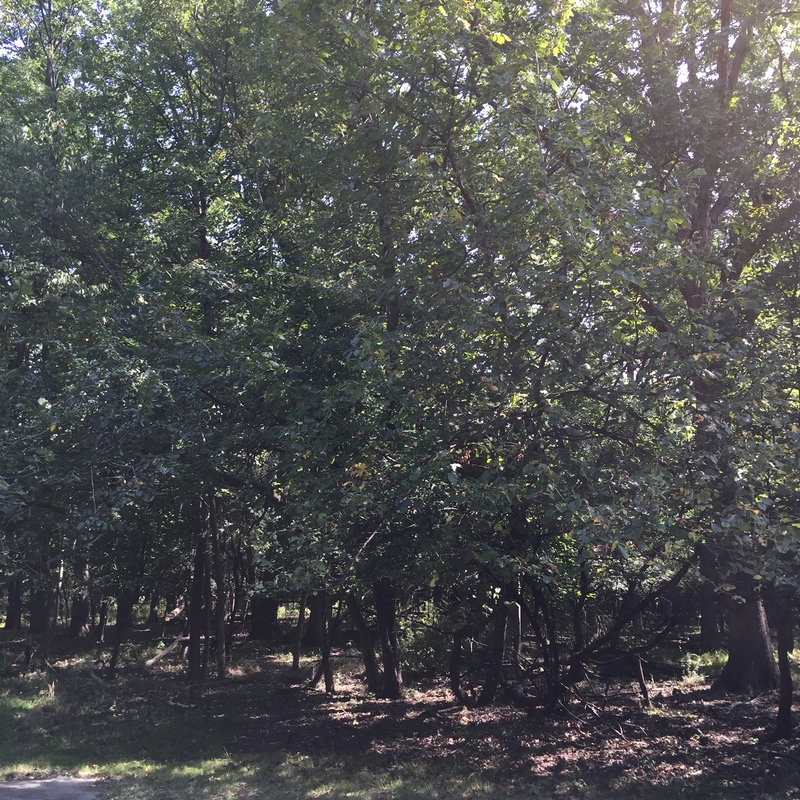 -The trees have not yet started to change colors here yet, but if you look very closely at the cover photo, you can see the first semblance of a brown leaf. Not quite star light star bright, yet it is a harbinger of the forthcoming fall. – Do you ever use that “voice recognition” method to text on your cell phone? I know I do because my index finger can easily fit over a 6 full letters on that tiny keyboard and it’s a matter of convenience. Sometimes the results are comical. My sister texted me about a memorial recently that drew a number of cars to her neighborhood. The local grocery story was giving out elaborate samples today. 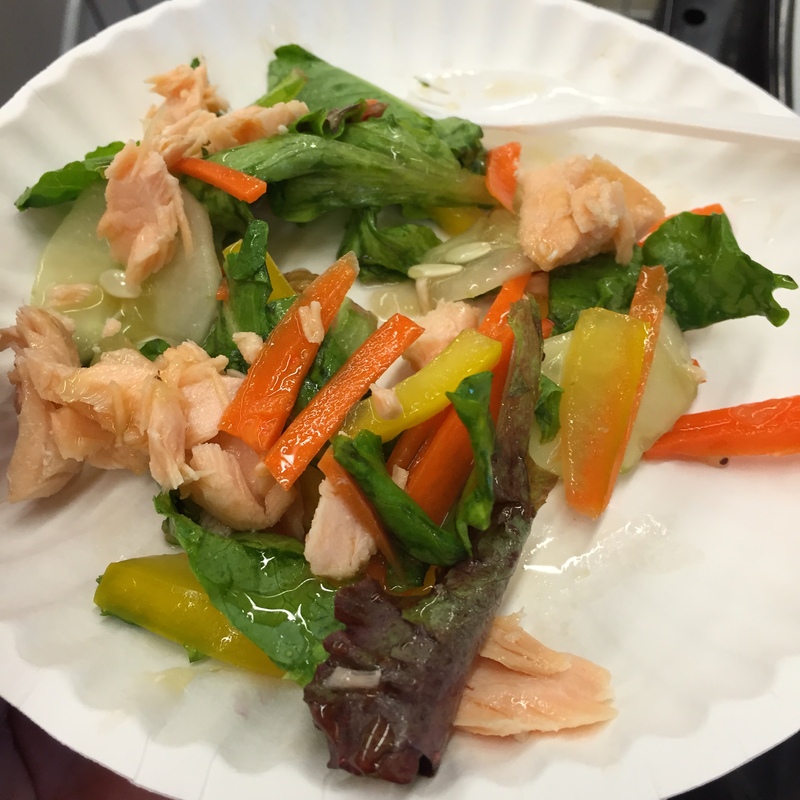 It was so outstanding that I texted my wife about it: “Salmon salad with raspberry vinaigrette and Walmarts (walnuts).” No Walmart does not give away salmon, that’s for sure. But a tip of the hat to Mariano’s who had this awesome sample. And the number one voice activated test from last week came when I sent my wife a text of things needed from the grocery store for a soup recipe. The list included potatoes, green onions, carrots, mushrooms, bacon and condom milk (condensed milk). Aggggggghhhhhhhh. It is highly recommended one proofread before hitting the “send” button. Luckily, I did. -Every now and again, I see a sign that baffles me. Here is one such sign from a lawn service truck I was recently following behind in traffic. 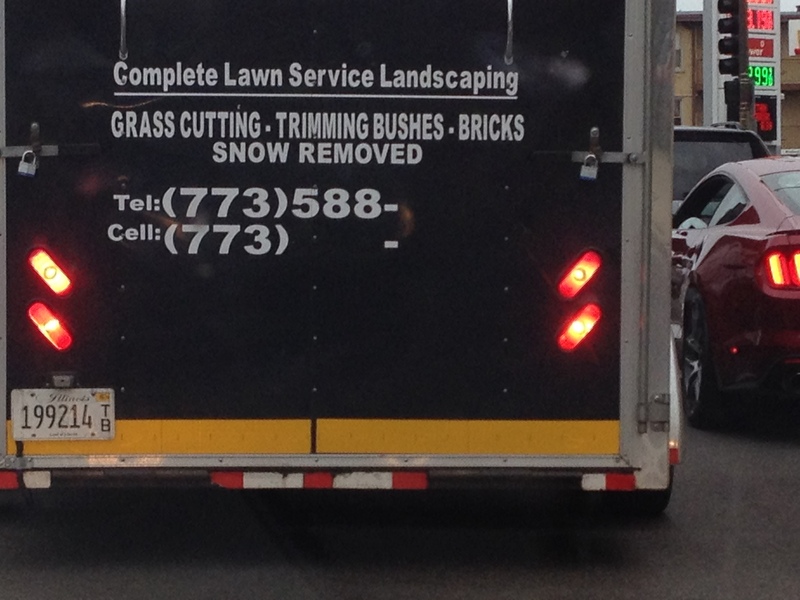 This lawn service company does grass cutting, trimming bushes and bricks. Enjoy the last full weekend of summer. We’ll see you in the fall, or do you say, autumn? Damn auto text. Gets me all the time. I know! You really have to prof it before sending, but sometimes I just send anyways for the humor element. One more reason I don’t have a smart phone..lol! Nice blog! Thanks, it does take some “getting used to” the new technology.